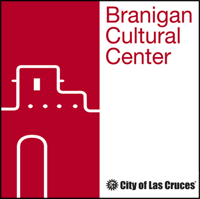 The Las Cruces Ukes will perform at the Branigan Cultural Center on February 14, 1-2pm. Las Cruces Ukes is a community group of ukulele enthusiasts who perform beloved tunes of days gone by. They practice each Thursday from 6:00-7:30pm at Hubbard’s Music-N-More and welcome new members. For more information, go to Facebook.com/lascrucesukes or call Cheryl Fallstead at (575) 405-7133. Please join us for an afternoon of music. The program is free and open to the public. ArtForms supports and promotes all artistic forms, including visual, literary and performing arts because art, artists and the business of art are vital to the social and economic development of our community. The mission of ArtForms is to ensure that our creative community is regarded as a revenue-generating industry that has broad visibility and a solid resource network. They work toward the recognition of the greater Las Cruces area as an international art and culture destination. During the month of February, ArtForms can be found in galleries and artistic venues throughout Las Cruces. For a full listing, please pick up the For Love of Art Event Guide at the Branigan Cultural Center or other participating locations.